Trekkies, get excited because the first look trailer and key art for Star Trek Discovery has arrived! 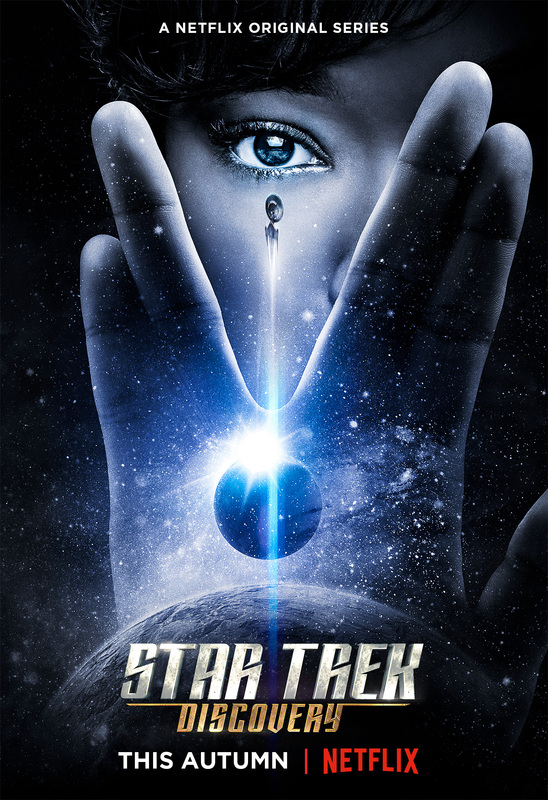 Star Trek Discovery will premiere this autumn on Netflix everywhere (except the U.S. and Canada where it will be available on CBS All Access, and Bell Media respectively, following a broadcast premiere on the CBS Television Network). Also, good news, there is more Star Trek to sink your teeth into as the series will feature 15 episodes, up from the previously announced 13. It is set 10 years before the Enterprise and our beloved Spock and stars Sonequa Martin-Green (we miss you in The Walking Dead), Jason Isaacs (Harry Potter) and James Frain (True Blood, TRON: Legacy). Check out the trailer below.